THIS, ladies and gentlemen, is a pubescent Shawna at the ripe age of 16. 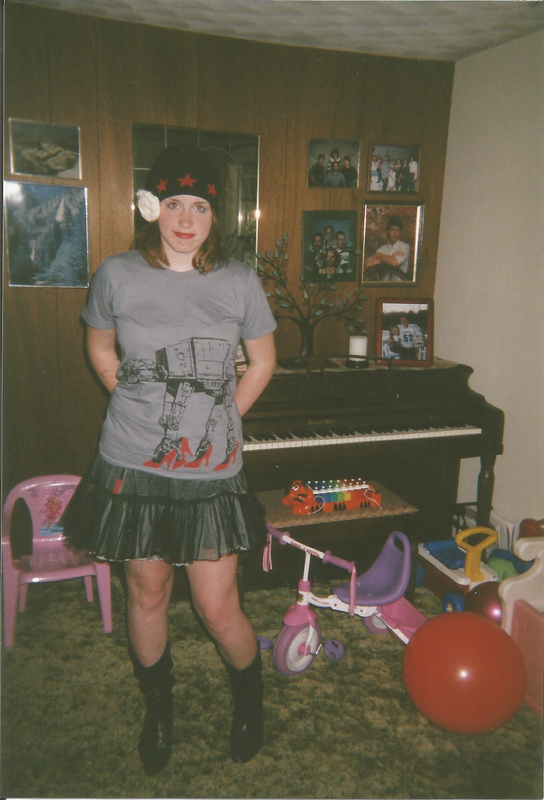 As you can see, I was at my peak of style with an obscure but cool band T-shirt for a band called The Stilettos, a reversible beanie with a hand knit flower on it, a tulle miniskirt from Hot Topic, and apparently cowboy boots. Also, since I was living at my grandmothers at the time, I am surrounded by my cousin’s toys. Note the green shag carpet characteristic of all grandmother’s houses. Thought I would share, as I recently posted this on /r/blunderyears.